Water-repelling carryalls make standard-issue canvas seem decidedly lackluster. 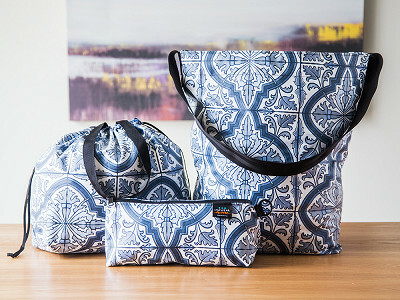 IMPWEARhome’s laminated cotton totes and bags repel liquids and stains, and the fabric feels surprisingly soft. 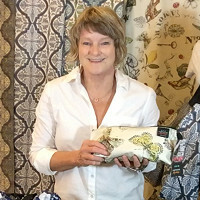 You may not have heard of laminated cotton, but once you feel it, you’ll get why Maker Tracy Krauter was drawn to it. The lifelong sewer was looking for an easy-to-clean fabric when she turned to making this wonderful material instead. It starts with cotton fabric bearing Tracy’s own prints. The fabric is then coated with water-based urethane. 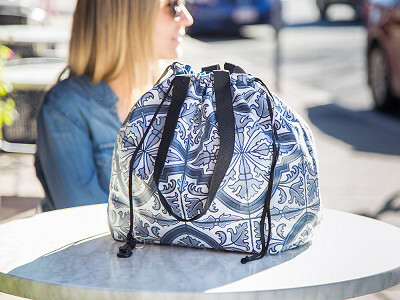 This not only beefs up the fabric’s durability, it also gives it a supple, matte finish—and it’s BPA- and phthalate-free, as well as food-safe. The result is a collection of charming bags that are functional beyond getting caught in a drizzle. Use one to hold makeup, carry your lunch or groceries, or serve as a beach bag. It’s a smart choice that feels as good as it looks. Hello Grommeters! I’m Tracy Krauter, Founder and First Maker at IMPWEARhome. 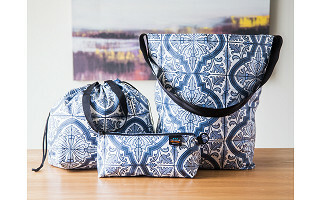 I am excited our bags are featured today on the Grommet. Our amazing, laminated cotton fabrics will take your breath away. You have to feel them to believe them. I am standing by for your questions. Does the tote come in vintage Whidbey like the small bag? Any pockets inside? Open tote - does it come in other colours? @luzminda Yes, it does. There are 3 colors in the tile print - Orcas, Whidbey, + Cypress. You can click on the picture to see them all! Thanks! Also, the tote bag is reversible! 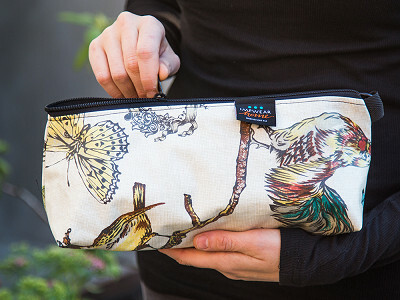 No pockets, but a key hook that you can attach a pouch to to keep your goodies safe inside. I would like to suggest adding a top flap to keep the contents dry. @Marla Thank you, Marla. Our products are made in Seattle and every extra thing adds cost. 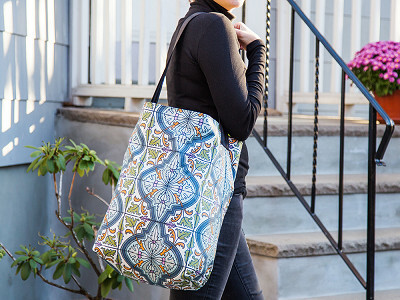 The reversible tote has a drawstring which closes out the rain, but it costs more (and it's worth it!). The Denny Open Tote is streamlined and deep, with a simple slip pocket inside. It is less expensive. I find that most of my stuff stays dry anyhow since the bag is so deep and the top naturally flops closed under my arm. You can see I think a lot about all these things :)) Thank you for looking! @Tracy Thanks for the quick reply. 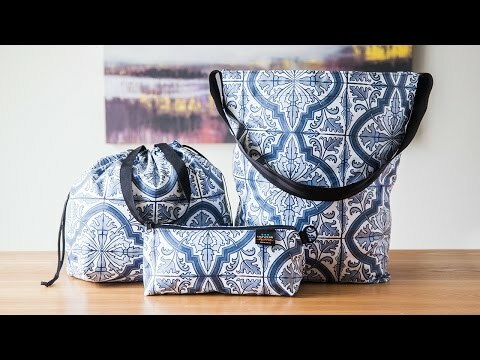 I see how it would work on the open bag, and the cinch tote is so cute! Hi, what are the dimensions of the Open Tote? Thanks. @Mary Hi Mary, The dimensions are 16" x 18" x 5" -- there's plenty of room for all your market goods, books, or whatever else you want to bring with you.